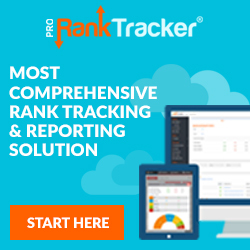 With Pro Rank Tracker you’re always aware of the rankings of your website. And you’re thereby not only monitoring the performance of your keywords in the search engines, but can also track specific URL’s. We have extensively tested this SEO tracking tool and would like to share our experiences with you, so you can judge whether you can further improve your website with Pro Rank Tracker! An effective way to realize more traffic to your website is to acquire higher rankings in the search engines. Pro Rank Tracker helps you with that and provides you with very interesting data. Think of getting to know all the keywords you rank with and suggestions for keywords you might be better off focusing on. You can also compare your website with those of your competitors. Possibly you are ranking with keywords you didn’t even know. 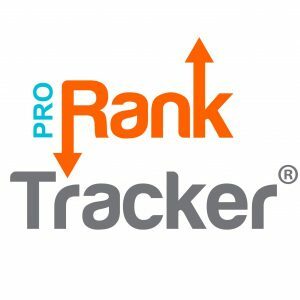 Pro Rank Tracker also helps you to identify and analyze these keywords and lets you know which position they’re ranking on in Google. The algorithm used by Pro Rank Tracker is said to be unique. It enables completely updated rankings and presents the top 100 search results per keyword. It also shows mobile rankings up to 30 results. Thanks to the nice interface, everyone should be able to use the tool. Even if you don’t have any experience with tools like this one, you’ll probably pick up on it soon. Still find it hard to find your way? There’s lots of information available to consult, in the shape of both text and video. Reports are available in 11 languages; from English and Spanish to Dutch and Japanese. Pro Rank Tracker is a cloud based application, so a desktop installation isn’t required. Wherever you go, with a laptop and internet connection you can always check your rankings. Plus, you have the disposal of an Android and iOS app, so you can really monitor your rankings on-the-go. Do you have a SEO business? Then you can even give your clients access to their own reports with the aid of the mobile app provided with your own logo! What do we think of Pro Rank Tracker? We have experienced Pro Rank Tracker as a pleasant, useful and straightforward tool. Even though it doesn’t offer an overwhelming number of functionalities, what Pro Rank Tracker does, it does well. It keeps track of your rankings and discovers new keywords. No more and no less than that. Test drive Pro Rank Tracker for free before upgrading!